John Swanbeck is an author, columnist, speaker, creator and publisher of CleverActorTips, Chief Creative Officer of BlueSwanFilms, and Producing Director of The Character Factory. 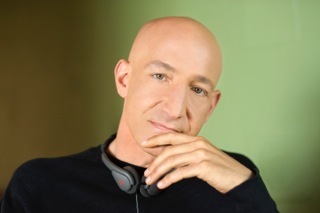 He is a renowned director and teacher of actors, directed the existential comedy The Big Kahuna, and is currently writing a series of books for actors and directors on unique and innovative ways to creating cinematic film performances. 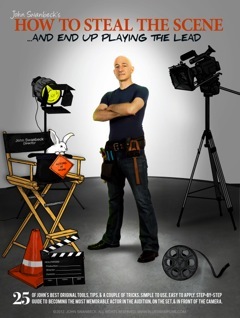 The first in the series “How To Steal The Scene & End Up Playing The Lead” is available on Amazon & iTunes. The second in the series “How To Direct Actors Like A Pro & Look Like A Genius Doing It” will be released in the fall of 2019. John’s YouTube channel is “Get Cinematic with John Swanbeck”, and he is preparing for the first annual multi-city “Get Cinematic with John Swanbeck Tour” launching summer 2019. After cutting his teeth on the Chicago theatre scene, John brought his unique talent for directing actors to his existential film The Big Kahuna. It was during the shooting of that film that John envisioned an online-based production company creating, producing and distributing his innovative approach to creating cinematic film performances across a wide spectrum of media. BlueSwanFilms is the realization of that vision.